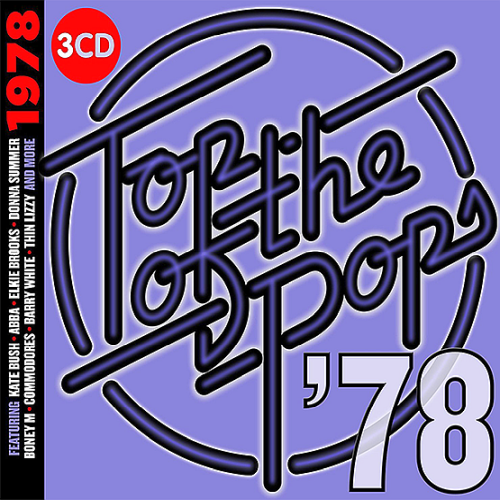 Date: 23.04.2018 | Dance, Disco, RnB, Pop, Rock | Tags: Top Of The Pops, 1978, Spectrum Music, UMC, Universal Music Catalogue, Donna Summer, Arthur Mullard, Tavares, Commodores, Magazine | Download Top Of The Pops - 1978 (2018) for free. Rivers of Babylon is a Rastafarian song written and recorded by Brent Dowe and Trevor McNaughton of the Jamaican reggae group The Melodians. More Than a Woman is a song by the Bee Gees, written by Barry, Robin, and Maurice Gibb for the soundtrack to the film Saturday Night Fever. Now That We Found Love is a song written by Kenneth Gamble and Leon Huff and originally recorded by The O Jays for their album Ship Ahoy. Too Much, Too Little, Too Late is a song performed by singers Johnny Mathis and Deniece Williams. Lyrics and music are arranged by Nat Kipner and John Vallins. The Motors were a British pub rock band, formed in London by former Ducks Deluxe members Nick Garvey and Andy McMaster together with guitarist Rob Hendry and drummer Ricky Slaughter.